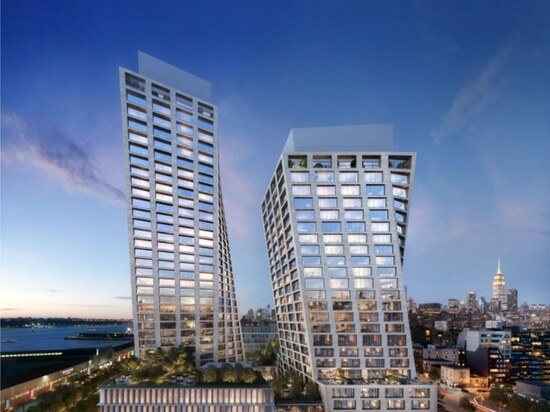 HFZ Capital Group (HFZ), a leading Manhattan-based real estate development and investment company, today announce both towers that comprise The XI (“The Eleventh”), have topped out. The East Tower, known as No. X stands 300 feet tall and topped out this month, the West Tower, known as No. I stands 400 feet tall and topped out last fall. 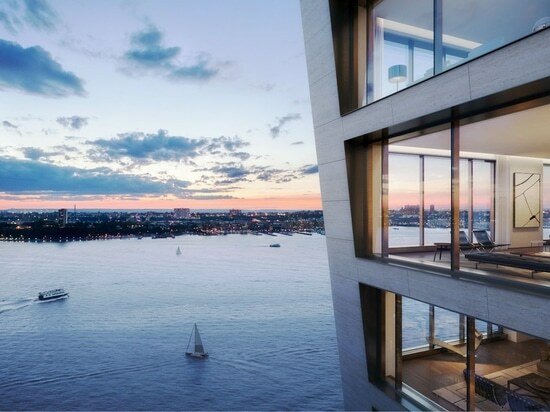 Featuring architecture designed by the world renowned Bjarke Ingels, The XI is a mixed-use residential and commercial development which offers 236 luxury condominium residences, as well as the first US destination by Six Senses Hotels Resorts Spas. The XI is an architectural accord realized through an extraordinary collaboration between the world’s most visionary minds: BIG-Bjarke Ingels Group, Gabellini Sheppard Associates, Gilles & Boissier and Enzo Enea. Rising above the Hudson River and High Line and taking up one square block between 17th and 18th Streets and 10th and 11th Avenues, The XI is comprised of two towers clad in travertine that are the tallest buildings in West Chelsea. The unique twisting design of the two buildings allow for unparalleled Hudson River and City views from all residences, with nearly all of the residences offering entirely unique layouts. The XI’s design draws inspiration from New York City’s classic Modernist structures and cultural institutions to create an architectural form that has not been conceived anywhere else in the world. 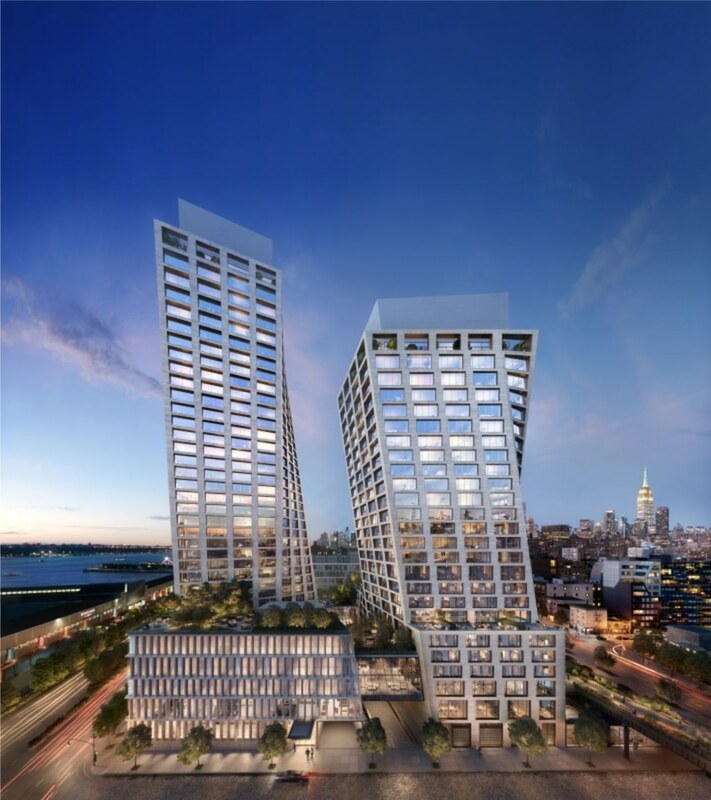 The XI is a new landmark that will anchor Manhattan’s new West Side and add a dynamic twist to the new “Architecture Row” emerging along the Hudson River. The 300-foot-tall East Tower, No. 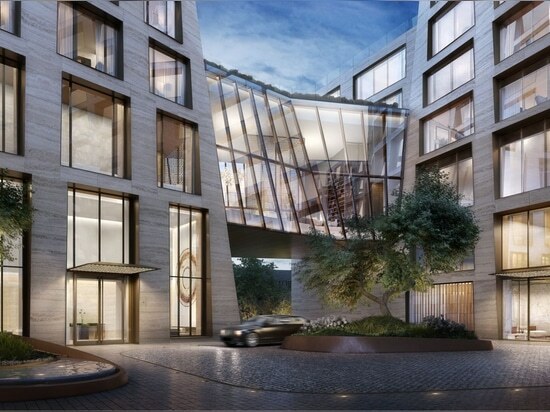 X, will feature 87 luxury condominium residences with interiors designed by Parisian designers Gilles & Boissier. 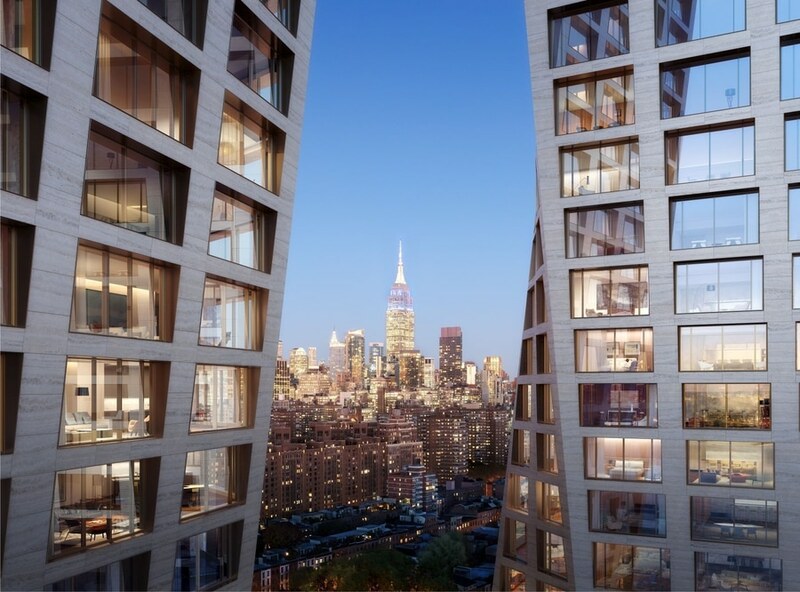 The homes start at 100 feet high on the 11th floor through the 26th above the Six Senses New York hotel, presenting residents with the next generation of hospitality, sustainability and wellness. 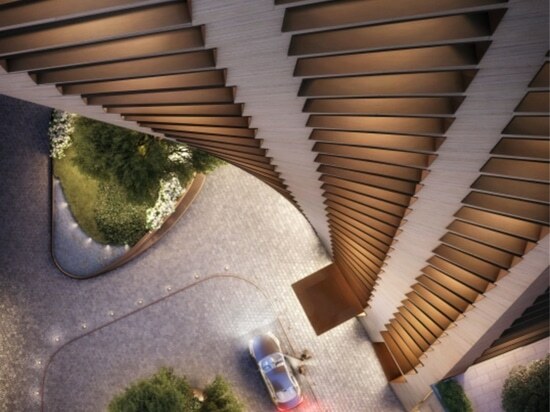 The tower features an elegant, private entrance exclusive to residents with a porte-cochere and courtyard designed with Swiss landscape architect Enzo Enea. The 400-foot-tall West Tower, No. I, will feature 149 condominiums designed by award-winning firm Gabellini Sheppard Associates. Rich materials layer the transition from public to private spaces with stone, travertine, wood and glass. Residents enter the Tower though a double height 23-foot lobby with calming lounges, a fireplace and a sculptural desk. 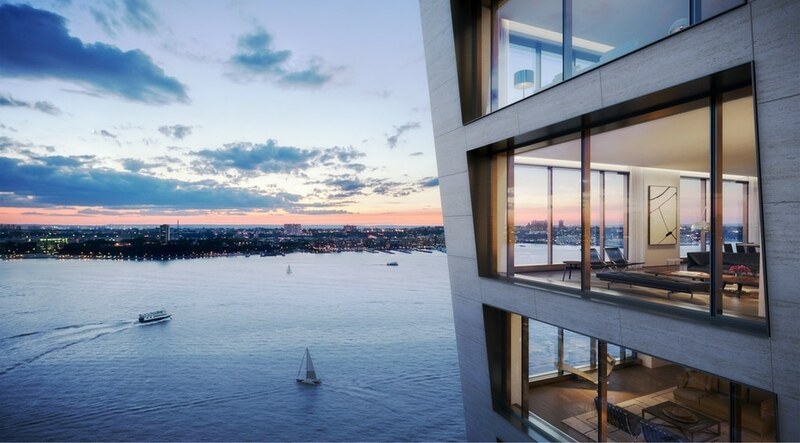 The West Tower residential offering includes simplexes and duplexes on the 5th and 6th floors, which start at 50 feet high above ground level and provide sweeping views of the Hudson River, and Penthouses up to the 36th floor. 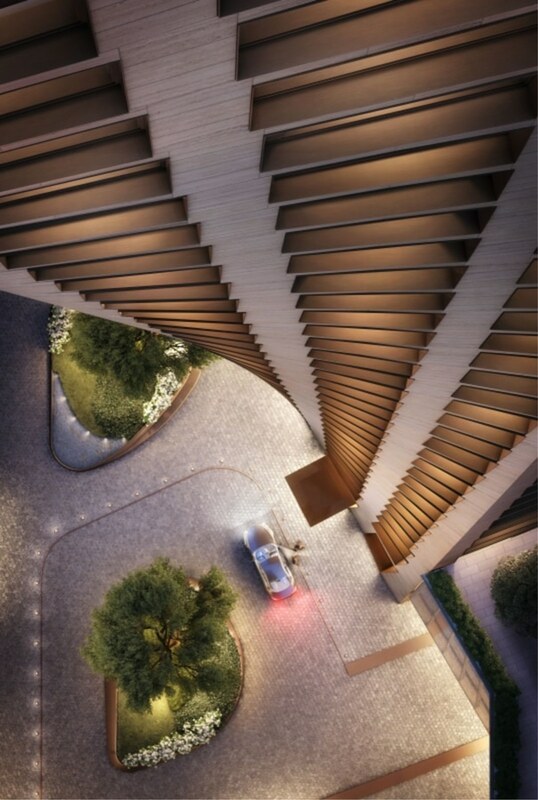 The private porte-cochère welcomes residents, while the elegant courtyard by Swiss landscape architect Enzo Enea provides an intimate serenity of outdoor space. 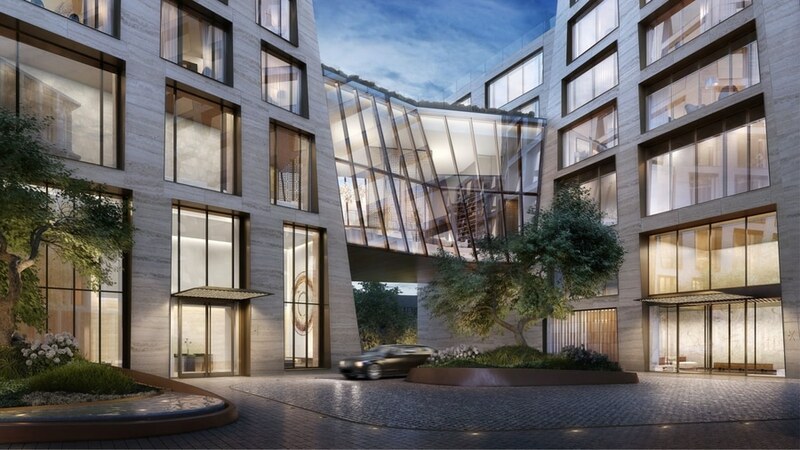 Arising from Six Senses’ mind-body-and beyond philosophy, residents at The XI will enjoy 60,000 square feet of amenities, including a private, 18,000 square foot amenities club designed by award-winning firm Gabellini Sheppard. Curated and managed by Six Senses New York, The XI Club offers access to the best in wellness, nutrition, fitness, lifestyle, and spa services from around the globe and at home in New York City. A stunning 75-foot glass-enclosed, sunlit swimming pool accompanied by a hot tub and poolside cabanas on the expansive deck. The XI’s fitness experience wraps the luminous swimming pool and enjoys unparalleled light and views. The luxurious spa features men’s and women’s steam rooms, saunas and cold plunges. Residents will also exclusively enjoy a fully-equipped treatment room and flexible studios for personalized signature massages and specialist therapies, plus wellness and nutritional programming by Six Senses’ handpicked team of world-renowned practitioners and experts. The entertaining space is highlighted by a double-height bridge and library bar with retractable screen for viewing and entertaining, social lounge spaces, a formal dining and wine tasting room with storage lockers, a teen’s lounge and children’s playroom. Source by HFZ Capital Group (HFZ), images Courtesy of Optimist.